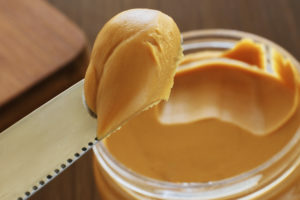 Creamy or crunchy – and oh, so spreadable – peanut butter is not your first thought as a possible game-changer in Alzheimer’s disease research. 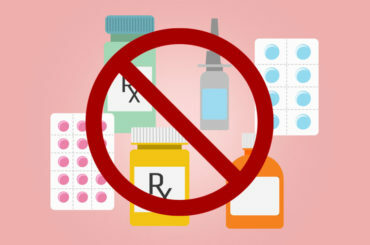 But it has potential, according to researchers at the University of Florida. 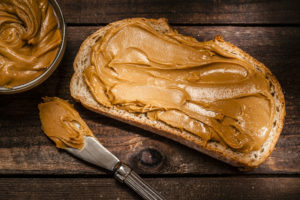 They conducted a peanut butter smell test hoping to find an inexpensive, noninvasive way to detect early-stage Alzheimer’s and track its progress. 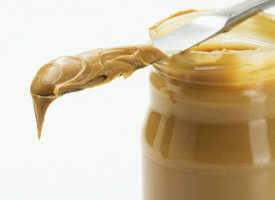 The researchers found that the peanut butter test singled out those with probable Alzheimer’s. Here’s how they conducted the test. The researchers asked each person to close their eyes, their mouth and one nostril. They opened a small container of peanut butter and moved progressively closer until the person could smell it. After measuring that distance, they waited 90 seconds and repeated the process with the other nostril. In those with probable Alzheimer’s disease, the researchers had to move the peanut butter container an average of 10 centimeters closer to the left nostril than to the right nostril. The investigators, who published their study in 2013, said follow-up research would be needed. However, a follow-up study in 2014 at the University of Pennsylvania could not replicate their results. The second research team found no difference in the ability of 15 patients with Alzheimer’s to smell peanut butter in their left versus their right nostrils. “This highlights the scientific importance of studies being repeated and refined by other researchers in different patient populations,” Dr. Wint says. Research continues on Alzheimer’s disease as well as on mild cognitive impairment. “The accessibility of current Alzheimer’s tests is one of the issues that is making diagnosis and research difficult,” notes Dr. Wint. Currently, the most accurate early-stage diagnostic tests for Alzheimer’s are a spinal tap or an amyloid PET scan. However, these tests are expensive, uncomfortable and not available everywhere. “The amyloid PET scan can cost $5,000, and that is just to figure out who should be studied in any Alzheimer’s study for early-stage diagnosis,” he says. Accurate, accessible and inexpensive testing could inform more patients about their Alzheimer’s disease status. And diagnosing Alzheimer’s in its early stages is critical to finding treatments that can delay or prevent future memory loss, says Dr. Wint.